Email agent about 13 Summit Road, TREVALLYN TAS 7250. MEET YOU AT THE SUMMIT! 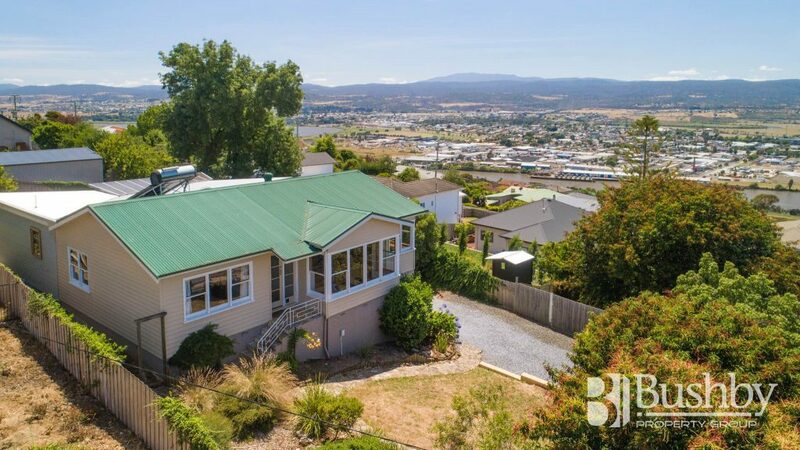 With views to die for across the Tamar River to the Seaport, Launceston CBD and eastern mountains, an inspection of 13 Summit Road, Trevallyn is certainly a must! 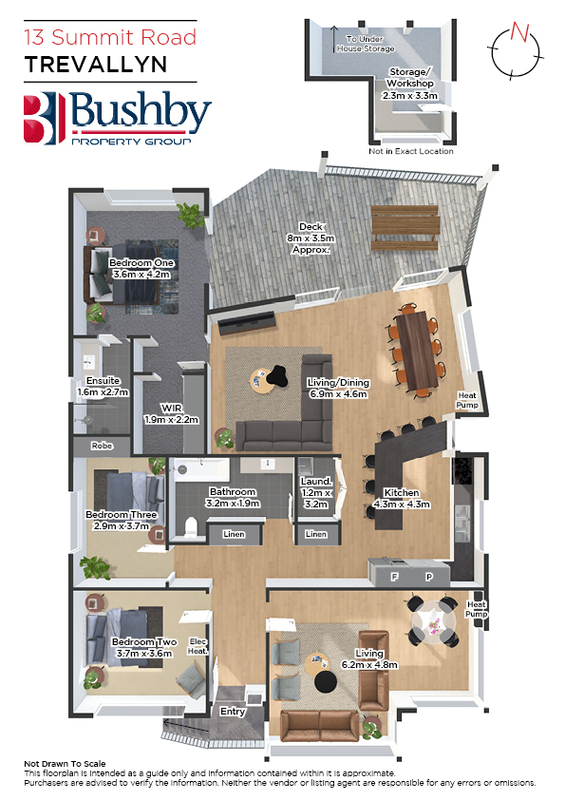 This established three bedroom, two bathroom home enjoys two separate living areas and boasts a substantial modern extension to the rear of the property that encompasses a stylish and roomy kitchen with quality stainless steel appliances and large living space. The master bedroom is accessed from this area and has both a walk-in robe as well as a spacious ensuite with extra-large shower. The main bathroom is equally large and includes a spa bath/shower with classy fittings. This light filled home is warm in winter and cool in summer, thanks to two Daikin inverter heat pumps servicing the living areas, solar hot water and carpeted bedrooms. Luxaflex blinds compliment the timber windows, taking in panoramic views from most rooms. From the main living area as well as the master bedroom, quality timber sliding doors lead to a large, covered deck where again the views overlooking the city and beyond are simply breathtaking – the perfect spot to sit back, relax and enjoy this peaceful location, tucked away at the end of a no through street. To complete the package, the landscaped gardens enjoy raised vegetable beds, blue metal pathways and there is a good sized workshop and under house storage with off street parking for two vehicles. Ideally situated, being close to public transport and within walking distance to the popular Trevallyn Primary School, local sports clubs and Trevallyn Shopping Precinct. Also an easy walk to the beautiful Cataract Gorge and very close to Freelands Lookout, capturing beautiful views to the north down the Tamar River Valley. Call for your inspection today – I look forward to showing you through.